Description Let's Robot new Adventure Starts! The dream of our nice Robot is to have an adventure in the deep space, travelling among all the worlds. In his travel he has been attacked by 4 evil robots and take his lovely jetpack. Help robot to find his jetpack and join this epic adventure! Play through 14 levels and four different worlds with an innovative way to play and high end graphics! You can collect the Gears to get score, special Gold Gear and a hidden prizes. 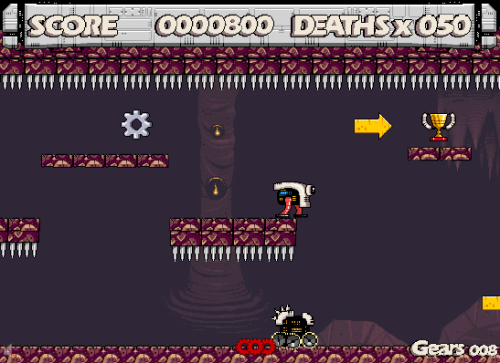 Make your way trough along the level to find the teleporter to the next level. You will get a better rank if you die less. Let's start to help the Robot.